The weekend is over and it’s time to dive into today’s movie news. 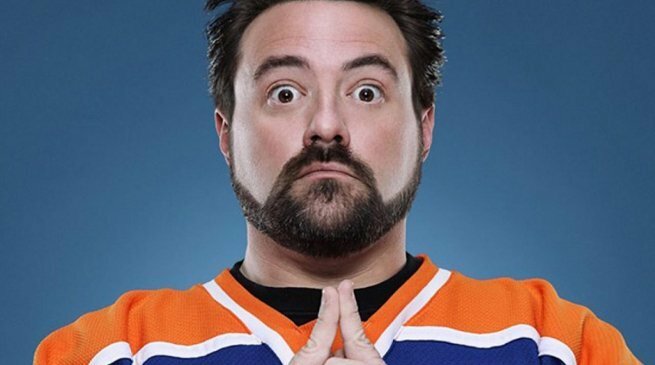 (Source: Twitter) Cult filmmaker Kevin Smith has a brush with death, as he tweeted from the hospital bed saying that he suffered a massive heart attack caused by a blockage of the LAD artery. Smith was in the process of filming a comedy special when he had the heart attack, with him having to cancel the second of two shows to be rushed to the hospital. With Kevin Smith being only 47 years old, the news of him suffering a heart attack is quite sudden and unexpected and as a big fan of the director, I wish him a speedy recovery. (Source: ComingSoon.net) It appears as if The Weinstein Company will not survive the fallout of the scandal surrounding Harvey Weinstein. There have been talks to sell the assets of the company, but the talks have faltered and the company will now be filing for bankruptcy. The company was founded in 2005, following the departure of Harvey and Bob Weinstein from Miramax. The assets of the company include films for Quentin Tarantino, Kevin Smith, and Robert Rodriguez, as well as Best Picture winners The King’s Speech and The Artist. (Source: Box Office Mojo) Black Panther continues its box office dominance with an estimated second weekend gross of $108 million, which is the second all-time highest gross for a film its second week. The film now has a worldwide gross of $704 million. Domestically, Black Panther is currently the fifth highest grossing film in the Marvel Cinematic Universe, though the film is expected to continue climbing. As for the new releases last weekend, Game Night opened in second place with a gross of $16.6 million and Alex Garland’s Annihilation opening in fourth place with a gross of $11 million. Annihilation‘s gross was likely affected by the decision by Paramount to release the film direct to Netflix internationally, with the film only receiving a theatrical release in North America and China.